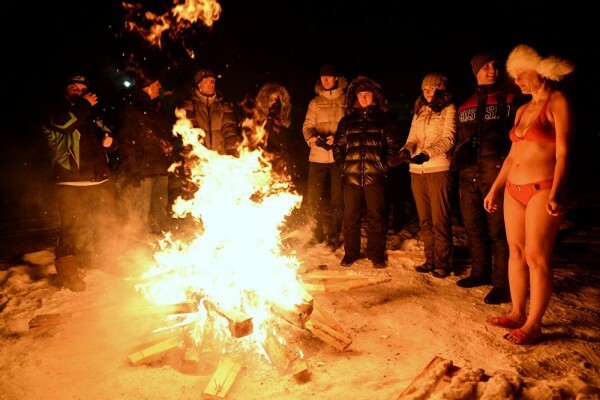 Thousands of people all across Russia braved the freezing winter temperatures to bathe in ice-cold rivers, ponds and lakes, celebrating the Orthodox Christian holiday of Epiphany — the baptism of Jesus Christ. 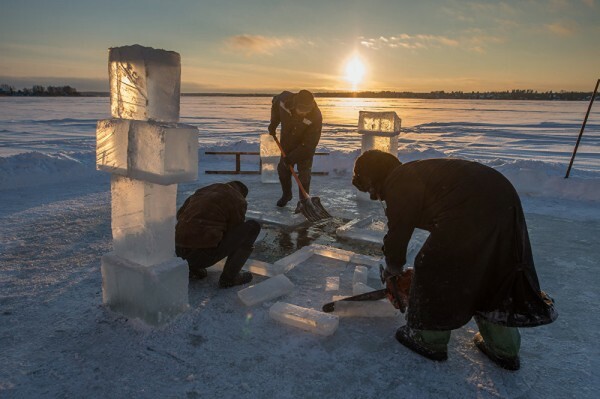 An ice hole being dug out for water consecration on Epiphany Day at Lake Siverskoye, near the Kirillo-Belozersky Monastery in Russia’s Vologda Region. 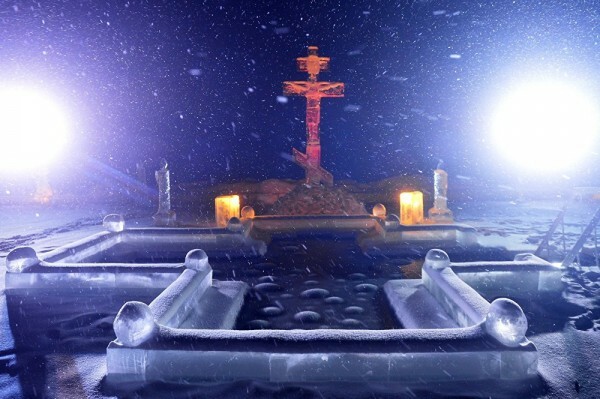 A baptistery at one of the monasteries in the Republic of Tatarstan, Russia. 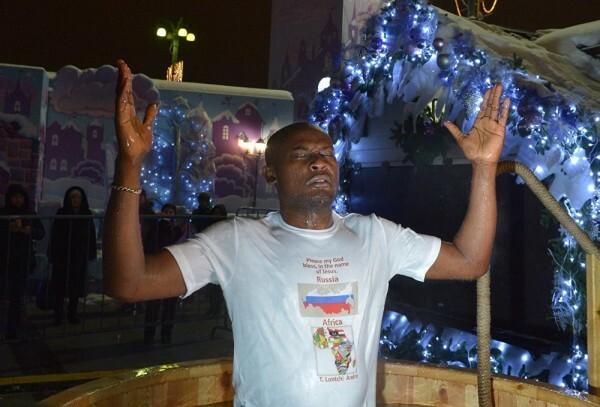 Traditional Epiphany bathing at Revolution Square in Moscow. 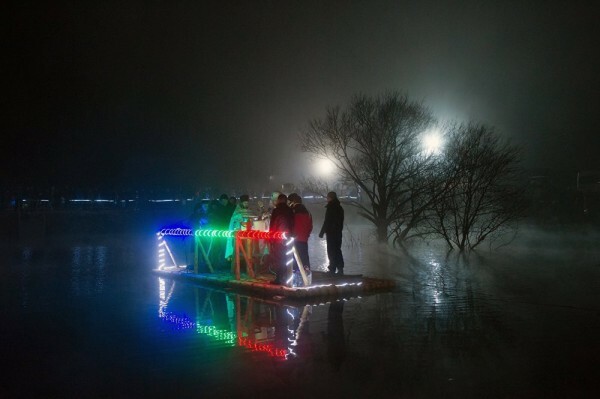 Epiphany bathing at the Staroye Rakamo village in the Novgorod Region of Russia. Bathers on Epiphany Day in the lake of the Valdai Our Lady of Iberia Svyatoozyorsky (Holy Lake) Monastery. 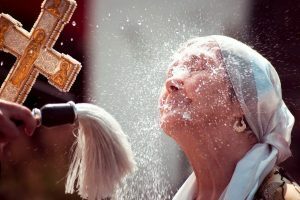 Consecration of the baptistery near the Red Caves in the vicinity of the village of Perevalnoye, Crimea. People bathe at the Red Caves baptistery near the village of Perevalnoye in Crimea. 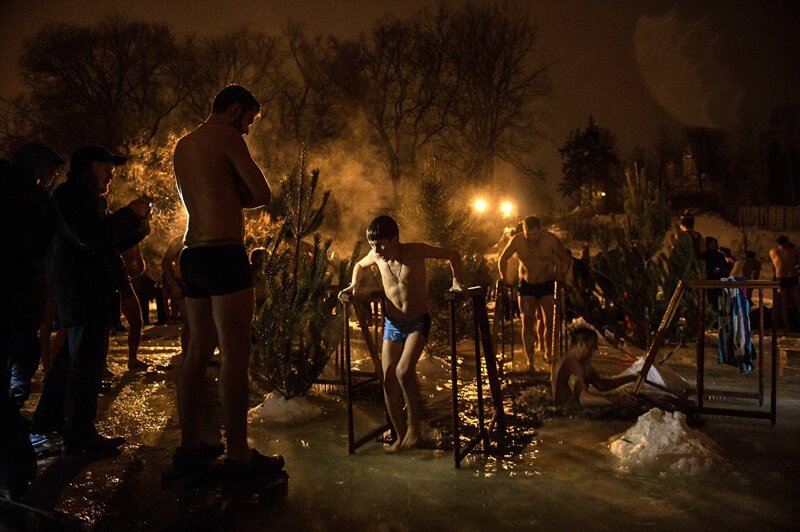 People bathe on Epiphany Day in the lake of the Valdai Our Lady of Iberia Svyatoozyorsky Monastery. 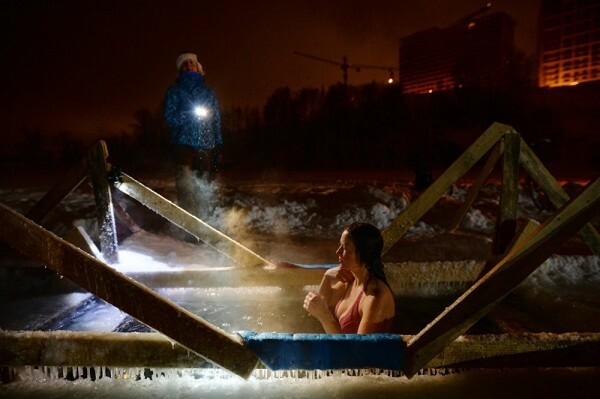 A woman takes part in Epiphany bathing in Novosibirsk. 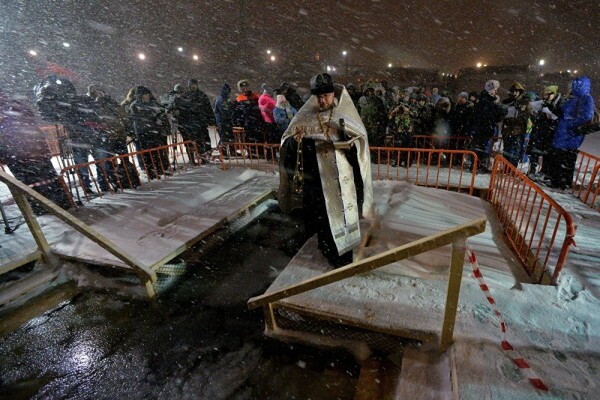 A priest consecrates an ice hole in the Sport Harbour, Vladivostok. 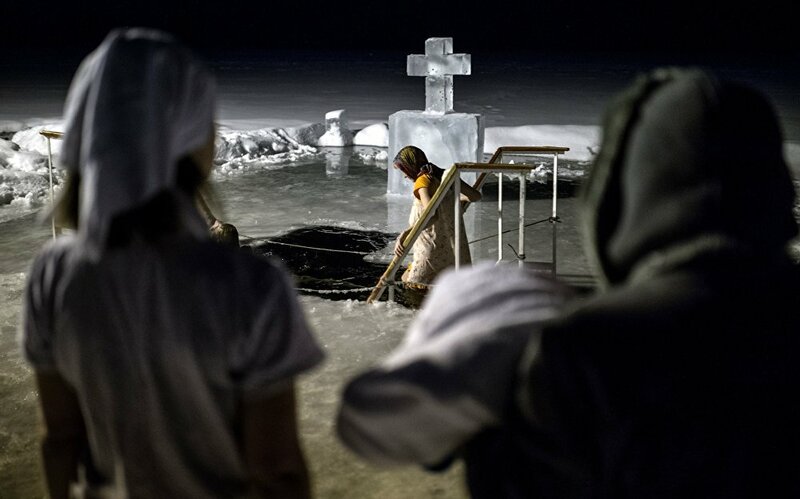 Epiphany bathing at the Klyazma Reservoir near the village of Ostashkovo. People gather around a campfire to warm up after a Epiphany bathing in Novosibirsk.